Canada based Yukon Blonde are set to return next month with a new EP entitled Fire//Water. Fire//Water is the follow up to the band’s rather successful first outing, of which garnered them a respectable amount of praise. The EP was written partially on the road, and partially off the road. It promises to retain the same "folksiness" and catchiness of their self-titled, as well as show a growth and maturation. 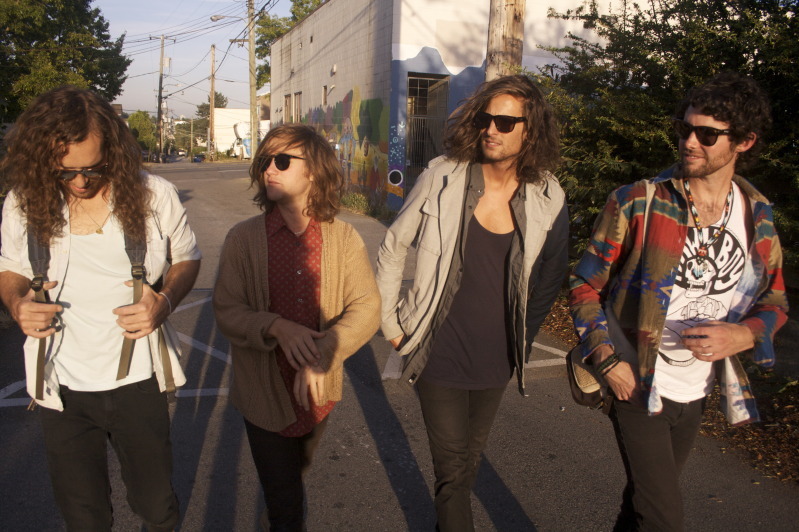 They same excellent hooks found on Yukon Blonde will make their appearance as well. More exciting is the fact that the band wrote and recorded 15 tracks over the course of a summer, 11 of which will make their debut on their sophomore effort, slated for release in 2012. The new tracks that fill the EP will be featured on the band’s massive upcoming tour. Yukon Blonde has displayed quite a lot of promise, and is definitely something to keep on your radar. Look for Fire//Water when it drops October 11 on Dine Alone Records.